It is difficult to reflect on such a horror from the perspective of someone who did not witness it, but Adorno’s claim of ‘no poetry after Auschwitz’ is, in my opinion, an unfortunate reaction. It is understandable of course – there is a fear of romanticising, of letting Modernity’s machines off the hook. And yet we feel the need to find some way of remembering. I explored some of these impasses of memory – the impossibly fine line between memorial, monument, and museum – in my undergraduate thesis, a set of psychogeographic, walked maps and essays in the public spaces of Berlin. I have uploaded this to my academia.edu profile (see below) should you want to read it – if not the whole thing, then perhaps the essay on the Holocaust Memorial itself. 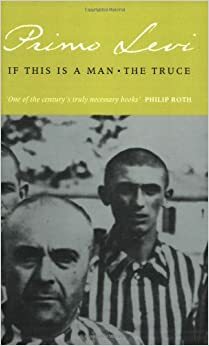 However, for now I just want to quote that most prescient poem of Auschwitz, that which prefaces Primo Levi’s eye-opening account of the concentration camp, If This is a Man. Who dies because of a yes or a no. Like a frog in winter. I commend these words to you. It is all powerful, yet the most powerful of all lines for us now must be “Meditate that this came about“. It is Levi himself telling us what humans are capable of; warning us not to put it down to an exceptional Evil, and to recognise that these horrors can and do arise from modern minds. I am writing about this book now first of all because I love it, and second of all because I have lost it. Or rather, I attended a book-swap and, in a fit of foolish generosity, gave it away. It is shorter and far more beautiful than you would ever believe that a book essentially about court processes could ever be. Beginning from the case of Joseph Mengele, the Nazi leader whom was captured and trialed only posthumously, the authors work towards the hypothesis that dead bodies and other objects (including damaged buildings) have been increasingly utilised in courtrooms over the last few decades. Though often inserted, as objective, passive props for the proofs of scientific experts, Keenan & Weizman declare a more hopeful and open-minded trend towards viewing these things as occupying an uncertain identity between objective truth or evidence on the one hand, and the speaking testimony of a witness on the other. In this sense, they envision a way of re-making a space of interpretation and performance for the law, thus ungrounding the technocratic, non-political, unbiased portrayal it is sometimes given. The law is, after all, about persuasion, and even objects; dead bodies; concrete structures, can persuade, negotiate, and lie. This book, as well as having a great theoretical relevance to arguments of legal accountability which surround drone warfare as well as numerous other issues, is also directly relevant to current practice. For one, Eyal Weizman, as head of the organisation ‘Forensic Architecture’ at Goldsmiths University of London, is heavily involved in an ongoing UN inquiry into civilian casualties caused by drones.